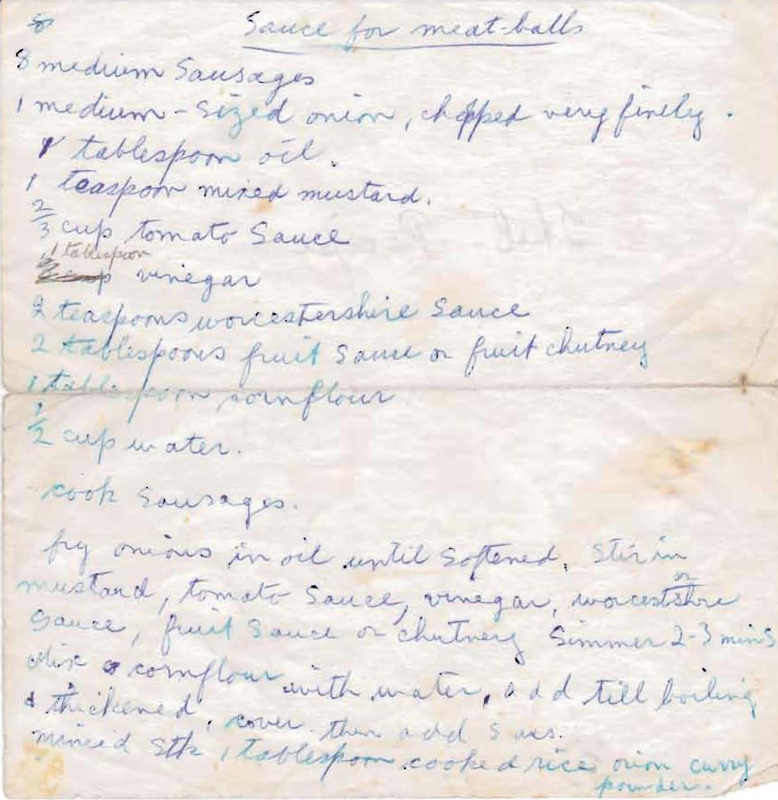 Mum’s friend Thel must have made this recipe using sausages, but from the handwritten title Mum must thought it was best with meatballs. I don’t think it matters which one you use, it tastes good with either. Cook sausages or meatballs. Fry onions in oil until softened, stir in mustard, tomato sauce, vinegar, worcestershire sauce, fruit sauce or chutney. Simmer 2-3 minutes. Mix cornflour with water, add till boiling and thickened, cover then add sausages or meatballs. Meatball recipe: minced steak, 1 tablespoon cooked rice, onion, curry powder.